As federally licensed producers in Canada, 7 Acres is authorized under the ACMPR to produce medical marijuana, receiving their cultivation license in March 2016. 7 Acres greenhouse is located in Kincardine, ON, within the Bruce Energy Centre. The seven-acre greenhouse is a subsidiary facility of Supreme Pharmaceuticals and was founded by Peter Herburger, who began 7 Acres as the Advanced Medical Marihuana Canada (AMMCan). 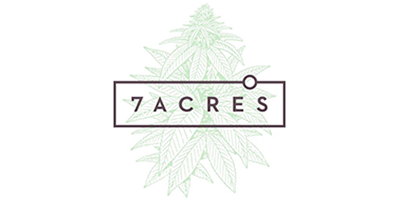 7 Acres combines the best aspects of indoor marijuana cultivation with the efficiencies and sustainability of a greenhouse, in a single large-format production footprint. Sun grown Canadian Cannabis !! Investor alert!!!! This 600 MILLION is located in a house in a cheap area of Toronto!! That's INSANE. Keep in mind Apple started in a garage. As did Microsoft, Dell etc. This area of Toronto is npt dumpy the offices and the house in front are quite nice. Personally I dont invest in anyone's office space but product and business plan. Lets focus on where the product is grown and the facilities there. Have you neen there? Thats what you are investing in. If they had offices in a bank tower downtown does it make it a better company, nope. Just burning cash needlessly on rent to please a few short sighted people. This is no different then the internet craze in the 90's lots of players to start and then slowly narrowed down. Facilities ment nothing stay focused everyone.